As a Financial Planning Associate, Roch provides analysis and detailed reviews that help our team to provide tailored and personal guidance. 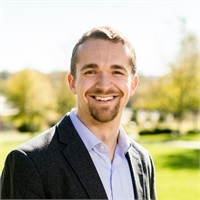 Roch graduated from the University of Tennessee, Knoxville with a degree in Political Science and is a CERTIFIED FINANCIAL PLANNERTM professional. Roch is also a member of the Financial Planning Association. When he’s not in the office, Roch enjoys trying new restaurants, exercising, reading, and spending time with friends and family.